Life in a nutshell. The Tree of Life is one of the most stunning, magnificently shot movies I've ever seen. The cinematography is something that you can't take your eyes away from, it's just that stunning. Emmanuel Lubezki is the master of cinematography, I mean he's right up there with Roger Deakins, Vittorio Storaro, and Robert Richardson. Terrence Malick direction in this movie was pure brilliant, even when sometimes it dose get a little pretentious with some of the imagery, but all that aside, this is a beautiful film that's not going to be for everyone. What is The Tree of Life? It's a celebration of life. It's a prayer to the one who creates all things. It's a hymn of reality about both the good and evil in the world. It's a reminder of who we are and where we come from. A true poetic masterpiece. One of the best films of 2011. Shoutout to the beautiful city of Waco, TX. City of my birth and hometown of director Terrence Malick. A drama of life in totality. A film seeking, questioning, and surrendering life to God. This follows a story of a family who could have seen life entirely. *** I rarely appreciate movie like this. Few dialogues. Shots coming from nowhere. Very quiet and yes, boring. But this film is different! Who would not be satisfied on performances of Brad Pitt, Sean Penn and Jessica Chastain? Who would not be hooked on this argument of life, God, and Science? I think, the filmmakers did an amazing job on this. This is not just out of the box execution of an incredible story and representations, this is film without a box, no boundaries on techniques and style, superb story and stellar performances. THIS IS FILM. Great and exceptional. Guess who got snubbed for Best Director. Terrence Malick has proven himself to be a very unaccountable director. 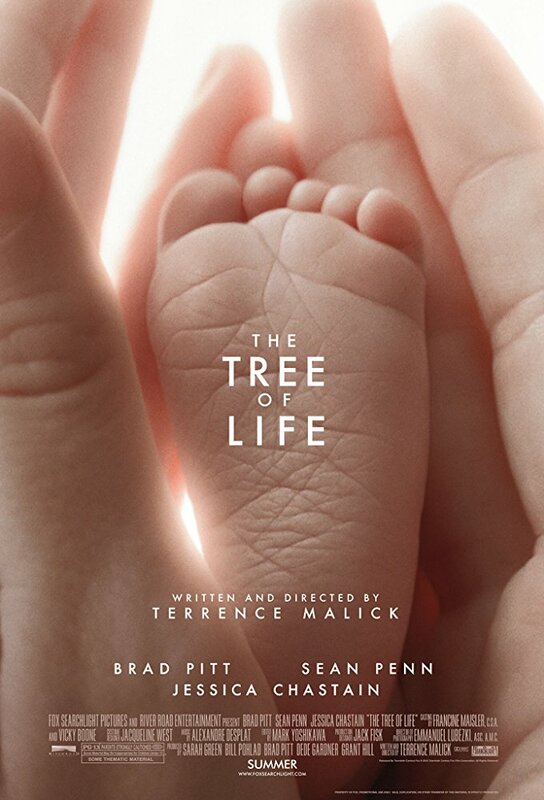 He never does interviews, barely ever lets himself be seen in public, and he makes strange editing decisions, often editing the majority of an actor's performance out of the movie� And with The Tree of Life, he yet again delivers something baffling. As for Malick's direction: It's one of the most beautiful films I've ever seen in my life, if not the most beautiful. The Tree of Life is one of those films that you either love or hate - there is no middle ground. It questions the existence of God and shows the truly important things in life in a way that makes the viewer search for the answers himself - but they are hidden in plain sight. Looks outstanding...but then again, I also thought the same about New World and that movie wasn't all that great.